A zero gravity-inspired Air Max Day release. size? has taken the Air Max Light’s “NIKE AIR” branding on the rear and flipped it upside down alongside its swoosh for a fresh take on the 1989 classic. 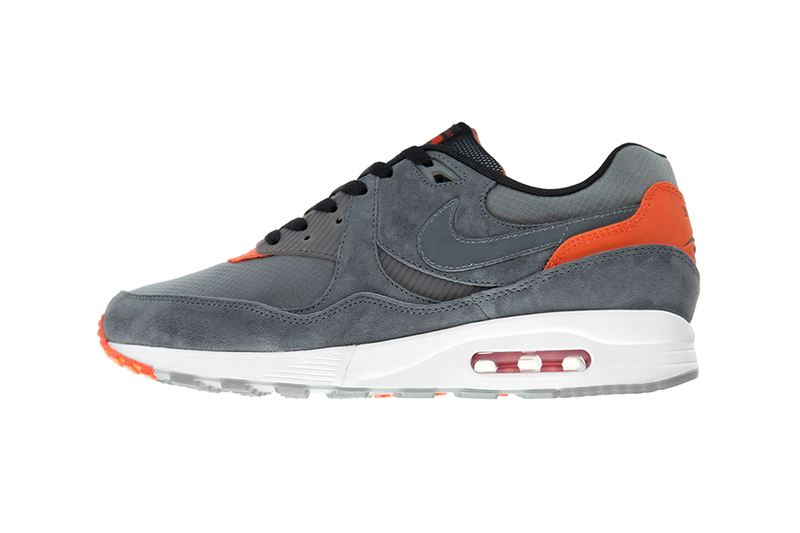 Swathed in grey and orange suede, with a grey leather swoosh and light grey mesh detailing, the Air Max Light sits atop a white midsole and two-tone orange and grey outsole. The midsole is what gives the Air Max Light/II its name, as the second-ever Air Max is considerably lighter than the Air Max 1. Following on from its recent Air Max 90 “Mars Landing,” Nike draws inspiration once again from outer space. The collaborative size? sneaker centers around interplanetary exploration, light and reflectivity, and, most importantly, zero gravity — reflected in the shoe’s flipped branding. The Nike Air Max Light size? exclusive will be available on Air Max Day 2019, March 26, via the size? previews app and in size? stores. In other collaborative Nike news, Supreme teamed up with the Swoosh for an Air Tailwind IV collaboration, and here’s your best look yet. Nike Air Max 1 Releases in "Light Bone"